THE LOSS by the Rosemary Nelson Inquiry of a computer disc containing classified information will be used to undermine the investigation into the lawyer’s killing, Sinn Féin Assembly member John O’Dowd has claimed. News of the security gaffe emerged last Friday, 16 May, although the disc had been missing since 6 May, ten days earlier. Reacting to the disclosure, O’Dowd, the Upper Bann MLA, said that many people in the north Armagh area who have been following the Rosemary Nelson case will treat the news with suspicion. Speaking to An Phoblacht, O’Dowd said that since 2004, when the inquiry into Rosemary Nelson’s killing was set up, members of the crown forces in the north Armagh area have been working to undermine it. “Members of the British Army and RUC have shown an unwillingness to co-operate with the inquiry and have gone to court to argue for anonymity when giving their evidence. The news that this disc has gone missing will be used by these same people to support their campaign. According to information in the public domain, the missing disc contains details of crown forces agents and their handlers and had been described as containing “extremely sensitive material that could put lives at risk”. The inquiry into the 1999 killing of Rosemary Nelson got underway in April this year with the key question being whether the British state colluded in her killing. Ms Nelson had been targeted by members of the crown forces and loyalist paramilitaries in north Armagh because of her work with the Garvaghy Road residents opposing Orange Order marches and her taking of some high-profile republican cases. 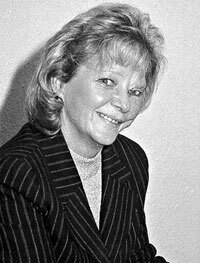 She was killed in March 1999 when an under-car booby-trap bomb exploded as she drove to work at her Lurgan legal practice.